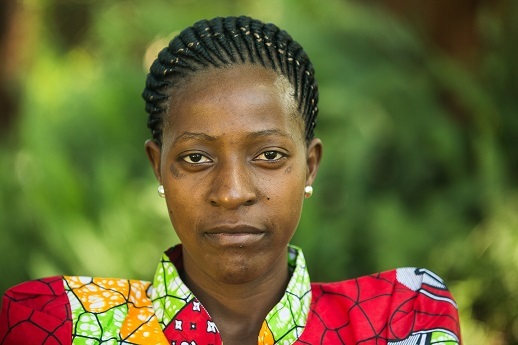 Three years on from husband Elias’ death, Mary Lunyamila Meshack recalls how her life changed forever the night he stood guard during an overnight service at their church in Mwanza, on the shores of Lake Victoria. Elias was 35, a youth worker in northern Tanzania in 2013 (see World Watch Monitor report below). “I met him at church, he was chairman of the youth group. We fell in love and married in 2009. Our life was good. I became pregnant very soon and had Prosper in 2010, and, when he was three, I gave birth to our daughter, Prisca. “The next morning (Oct 22) around 6am, a crowd from church knocked on my door; I knew something terrible had happened. Our pastor told me that the church had been attacked and Elias had been beaten to death [by machete]. Two others were injured, but survived. “When I heard the news I cried so loudly that neighbours came to see what was going on. “For a long time afterwards I was very angry with the attackers. “Many churches have been burnt. Some church leaders have been killed, others burnt with acid. I wondered why we Christians had to suffer to the point that the persecution reached my own family. Honestly, if I had met one of his attackers, I don’t know what I would have done. “I was devastated at my children losing their father at such a young age. They needed him. Single parenting is difficult. I do my best but am very sad when I remember that we used to be two. Now I am alone. They killed my dreams. “But as time went by, I accepted that my husband was gone. “It was hard work, but today my relationship with God is strong – even though sometimes when I start to pray, I suddenly have a memory and can’t pray any more. “But I thank God: He gives me strength and I have never gone to bed hungry. He is with my children and gives us strength to move on and do well. When I feel pain and get low, I switch on the radio and sing along to Gospel music. Shortly after Elias’ death, Mary was visited by Hadassa*, who worked for Open Doors, a global charity that works with persecuted Christians. 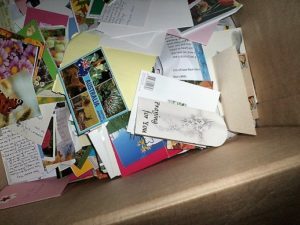 “She brought a big box of letters, so many. I was deeply comforted because they proved that the whole world had heard about my misfortune. My English is not so good, but even so I kept seeing the words, ‘Don’t worry, Mary!’ and ‘God bless you, Mary!’ which I could understand. “The large box caught the attention of visitors. When they asked about it, I told them to take a look inside. Many liked the cards so much, they asked if they could take a few home. I now have only a few left! “My dream for the future is to live well and stand strong with my children, to run a business and ensure my children don’t lack for anything. It is hard, but I am confident that I will make it and not lose hope. Since the murder of Meshack, churches in northern Tanzania have faced repeated attacks. Tanzania is 33rd on the Open Doors 2017 World Watch List of countries where it is most difficult to live as a Christian. Mwanza is on the shores of Lake Victoria. Another Christian leader in northern Tanzania has been killed in what appears to be a targeted attack, with two other worshippers from the church badly injured. They were all attacked with machetes by unknown men. The assailants came at around 1am, while Gilgal Christian Worship Centre (Pentecostal) was holding an overnight service, and started cutting them on different parts of their bodies. The motive of the attack is unclear. The incident occurred on Oct. 22 in an area known as Pasiansi in the Ilemela district of Mwanza province. 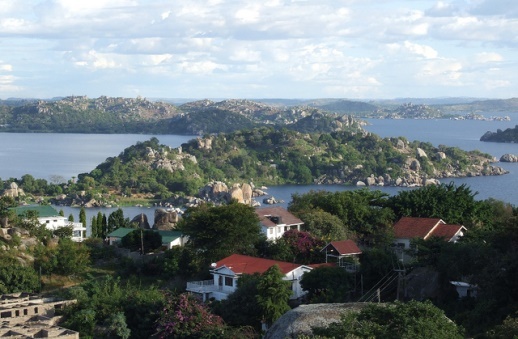 Mwanza is on the shores of Lake Victoria, which it shares with Uganda and Kenya. The man killed was identified as Elias Lunyamila Meshack, a 35-year-old youth leader. The members of Gilgal Church described him as a good man and said his death has caused great sadness. One man, Elias Msakuzi, suffered cuts to his head, but has now been released from hospital. Msakuzi Mwanza Regional Police Commander Earnest Mangu said that another, Tumsifu Pungu, was in a critical condition, but he is now believed to be recovering. Speaking about this incident, the leader of Gilgal Christian Worship Centre Bishop Eliabu Sentozi said that there was no evidence of robbery because the attackers didn’t steal anything. He called upon the police to swiftly and carefully investigate the incident and others like it. “I don’t think this was robbery because the aim of robbers is to steal money and other items, yet nothing was stolen here!” said the bishop. Police Chief Earnest Mangu confirmed the incident took place and asked church members and the public to wait for their investigation. The incident comes as the latest in a string of attacks on churches and pastors across East Africa, with two pastors in Kenya killed on the same day. Earlier in May this year, eight people (four Saudis and four Tanzanians) were arrested in connection with the bombing of a new Roman Catholic Church in the northern Tanzanian city of Arusha. They were arrested as they crossed into Kenya. The newly built church was being opened by the Vatican Ambassador to Tanzania. Archbishops Francisco Montecillo Padilla and Josaphat Louis Lebulu escaped unharmed. Two people were killed in the blast, which Tanzania’s President Jakaya Kikwete called an act of terrorism. Two other pastors in Tanzania were attacked earlier this year. A large group of radical Muslim youths attacked the home of Pastor Robert Ngai of the Evangelical Assemblies of God Church in Geita town, also in north-eastern Tanzania. The pastor received serious cuts on his hands and arms when he raised his arms to protect his head from the blows, and he had to be urgently transferred from a local hospital for specialist treatment. In the town of Buseresere, less than 50 miles from Geita, Pastor Mathayo Kachili was killed by radical Islamist youths in June. Reports also indicate that two nights before the attack on Pastor Ngai, a group of assailants visited the home of Pastor Daudi Nzumbi, also in Geita. Pastor Nzumbi leads the Free Pentecostal Church of Tanzania in the town. The attackers were scared off that night by the barking of guard dogs. In September this year, a Catholic priest suffered severe burns after having acid poured on him by militant Muslims just outside an internet café on the outskirts of Zanzibar City. Rev. Amselmo Mwangamba received burns on his face, chest and arms. Church leaders in the region believe the attacks are linked to a militant Islamist group known as “Awakening”, which has been campaigning for Zanzibar’s independence as an Islamic state. At the time, Diocesan Chancellor Rev. Cosmas Shayo stated: “We are urging Christians not to retaliate”. It was in Zanzibar too where images of the burned faces of two British girls, Katie Gee and Kirstie Trup, shocked the world this summer. The two girls had paid around £700 each to spend two weeks volunteering with the educational charity Art in Tanzania. They were both teaching at the St Monica nursery school, linked to the Anglican Church, while working with the charity. The two girls were badly injured when two men threw acid on them. They survived the attack and were flown home to Britain for treatment.